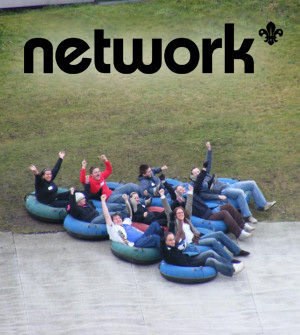 Network is the 18-25 section of Scouting. Unlike the other sections Network is run entirely by it’s members and provides much more flexibility for those of us who want to Scout but struggle with the commitments due to college, university and work. We run our own programme so we decide exactly what we want to do, where we want to do it and when! So, if you have an interest in doing something we can include it in our programme. We also help out across district with events and fundraising. Most of our members are leaders/assistants at other groups. Many are instructors in activities such as archery, air-rifle shooting and other adventurous activities. However all are welcome.